300 B.C. – 1300 A.D. The Olmec Indians (the first major civilisation in Mexico), believed to be the first to grow cocoa beans, influenced the Mayan culture to start consuming a drink made from cocoa beans. Later the Maya established cocoa plantations in what is today the southeastern part of Mexico, an area called the Yucatan. From around 1200 A.D. the Maya began trading with the Aztec people from the central part of Mexico, who also began to use cocoa beans to create their own version of the drink, mixed with a variety of spices. Spanish Conquistador Hernán Cortés led an expedition which defeated the Aztec empire. He returned to Spain with spoil, including cocoa beans and the equipment and methods for creating chocolate. Less than 60 years later, shipments of cocoa beans were regularly sent from Mexico to Seville, Spain. An Italian merchant, Francesco Carletti and his father Antonio Carletti, it is believed, discovered chocolate in Spain and then introduced it in Italy where it became very popular. From there a taste for chocolate spread to the rest of Europe via Switzerland, Austria and Germany. Joseph Fry began selling chocolate in his shop around 1759 and introduced factory methods to manufacture chocolate based in Bristol. The company later developed a method of producing a chocolate bar. John Cadbury started selling cocoa based beverages from his shop in Birmingham. By 1831 he decided to open a factory producing chocolate drinks, flakes and powder. Two years after Joseph Fry, Cadbury’s also started producing a chocolate bar. Joseph Rowntree joined his brother John in a partnership to produce chocolate products in 1869. The Royal Navy became a major purchaser of cocoa to provide sailors on watch duty with a hot, nutritious drink. During the late 19th century, Henri Nestlé and Daniel Peter worked together to perfect manufacturing methods for milk chocolate. The Nestlé company went on to become the largest producer of chocolate in the world. Milton Hershey produced the first Hershey Bar and went on to create methods for chocolate mass production. Hershey, Pennsylvania, was created, a company town, established for the production of Hershey chocolate. Callebaut, a Belgian company, started producing chocolate couverture, a very high quality chocolate, noted for its sheen, a snap when broken, and a mellow creamy flavor. A chocolate derivative, called white chocolate was made by Nestlé. Later the Milkybar became very popular, due in part to clever advertising starting in 1961 with the Milkybar kid, a blond, spectacled young boy dressed as a cowboy. The Valrhona company, founded in 1922 by a pastry chef in France, introduced the idea of ‘single origin chocolate’. It started producing vintage chocolates made from beans of a single year’s harvest from a specific plantation. 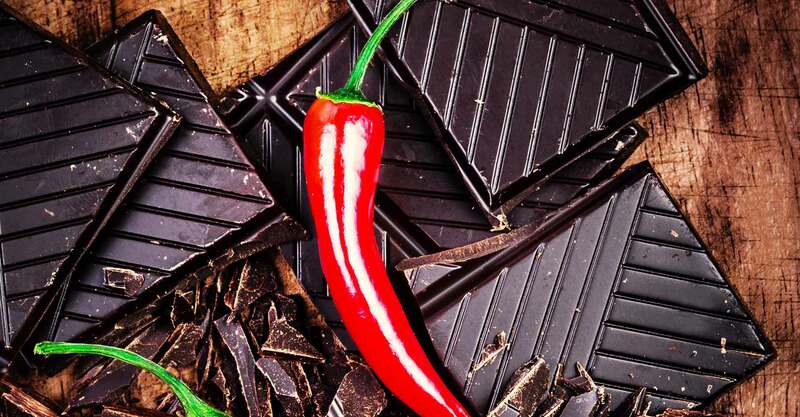 The beginning of the 21st century saw a surge in interest in chocolate as a new generation of chocolatiers arrived displaying new levels of creativity as well as a return to recipes inspired by chocolate’s Maya and Aztec roots. With emphasis on healthy eating, consumers began looking for chocolate with a higher percentage of cocoa and no additives. Scientific research confirmed the nutritious benefits of the moderate consumption of the cocoa bean.